What key points should a homeowner consider when comparing solar panels? The key factors to consider when comparing Sarasota solar panels are performance (they should produce the power that the rating leads you to expect), quality, durability and beneficial warranty terms. Aesthetics can also play a role in a consumer’s decision-making process. While online research should provide you with some great background, there are expert resources that can be extremely helpful in guiding your final decision. There are annual lists produced by solar publications (like PV-Tech, Solar Power World, Renewable Energy World, Solar Industry Magazine, and even Forbes) of the top PV panel manufacturers. These resources make it very easy to learn which manufacturers make a quality product – and which ones to avoid. Solar panels should last and produce an output of more than 80% of the rated power for at least two decades. 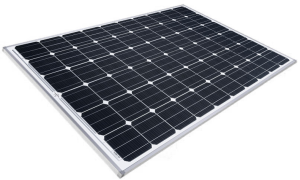 The lifetime of solar panels varies depending on quality of materials and the manufacturer. If a panel has a warranty of less than 10 years, you should exercise caution – a warranty of 25 years is much more desirable. When looking at a solar panel, what are some red flags that tell a homeowner it was cheaply made? Unlike many products, Sarasota solar panels have no moving parts, so its often difficult to tell by just looking if a panel is cheaply made. The market for solar PV is exploding globally and, because of this, there are companies around the world and in the U.S. that are willing to cut corners to gain market share. These defects are often NOT visible to the average consumer but result in lower than rated power output, possible safety issues, and long term durability problems. As a consumer, you are making a long-term investment in your Sarasota solar panels and what you think is a great deal on an unknown panel may turn out to be a bad deal in the long run. In addition, because of the economies of scale related to solar PV production, often the largest, most reputable manufacturers have some of the lowest cost panels on the market. Spend the time reading research by some of the resources I list above – take the time to learn about the top manufacturers, then interview three or four reputable contractors, check their licenses AND their references, choose the one you prefer (who likely has two, three, or more panel options available at any one time), and then sit back and enjoy the savings on your electric bill. How much do contractors really mark up panels? Is it worth it for homeowners to buy wholesale instead? Typically markup on panels and other components is 30-40%, depending on the situation. This covers shipping and handling, insurance, warranty coverage, licensing, and many other costs related to being a legitimate installer. PV panels are bulky, awkward to handle, fragile before being installed – don’t drop one on a corner! – and must be installed in often difficult situations (just imagine carrying a 45lb panel up a steep rooftop in the wind, then repeat that for every panel that needs to be installed – it’s not easy work). What many folks don’t realize is that there is a tremendous amount more that goes into a quality solar PV installation than just the panels themselves. A quality installation is expected to last 25 years or more, so every aspect of the installation must be considered for durability and longevity. Factors such as roof angle and orientation, roof type, the number of roof faces, local electric utility company, and local building code, they all impact the installation. There are very few “do-it-yourselfers” with the skills needed to successfully install a system, produce the power expected and have it last 25 years. Even small choices like the type of roof sealant and methods for securing the exposed rooftop wiring can have a major impact on the durability of the system. Some utility companies have very complex paperwork requirements just to allow you to turn the system on and connect to the grid. It’s absolutely worth the cost to hire a quality installer to help you through the process of installing Sarasota solar panels. Ten years ago, the panels were by far the single largest cost in a PV installation, often accounting for 70-80% of the installed cost of a system. But today, panels are less than 30% of the cost of an installation. Because of this, buying panels at wholesale and finding a contractor to install them, will almost certainly end up costing you more than if you just have the contractor purchase directly. Brilliant Harvest works with our distributors to obtain pricing that no homeowner can get. This is because of the volume of panels we purchase, our creditworthiness, and our reputation with existing clients. We search every day among our distributors to ensure we are getting the best price for the panels we install, and we stand behind our work 100%, so if you have an issue, we are there to take care of it. What about used Sarasota solar panels – are they worth the discounted price? It is usually not a smart idea to purchase used panels. PV panel technology is moving forward at an extremely fast pace, with panel power levels increasing 10% or more per year. In 2009, we were installing panels that were 205 Watts per panel. That same size panel today is producing up to 315 Watts. In addition, it’s very likely that the used panel will have no warranty coverage for any issues that arise. Finally, it will be difficult to find an installer willing to work with the used panel, since any problems that arise will need to be handled by his/her firm, and the used panels are likely to have more issues than a new panel. Anything else worth mentioning about the affordability of Sarasota solar panels? Solar is more affordable than ever and one of the best investments you can make, certainly better than the stock market in terms of return on investment. However, if you want that investment to perform, make sure to hire a competent contractor, preferably one that is based in your community, has been in business more than a couple years, and is properly licensed by the state in which he/she does business. Make sure to check references – a good quality local contractor is going to want their reputation to be spotless, and so should go the extra distance to make sure their clients are happy with the work they do. Brilliant Harvest is a great example of this: the vast majority of the work we do comes from referrals by existing clients, so we want every client telling their friends how great we are. The only way we can do that is by exceeding our clients’ expectations every day. We are not perfect, but when we make a mistake, we take responsibility and fix it to the satisfaction of our clients, and they love us for it.